The Gibraltar Parliament is the legislature of the British overseas territory of Gibraltar. 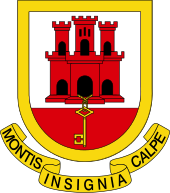 Between 1969 and 2006, it was called the Gibraltar House of Assembly. The House of Assembly, set up under the 1969 constitution, was a unicameral body originally consisting of 15 members elected by the Gibraltar electorate, plus two appointed members including the Attorney-General. The term "House of Assembly" has been commonly used for the legislatures of British territories that are less than fully sovereign. It was replaced by the current Gibraltar Parliament by the new 2006 constitution, reflecting an increase in its sovereignty. All 17 of the new Parliament's members are elected. Under the election system, each voter was allowed to vote for ten members of the Assembly. Due to the small area of Gibraltar and its territorial continuity, precincts served only as polling places, not political units, and there are no electoral districts served by the members, who were instead elected "at large" to serve the territory as a whole. The system lends itself to block voting – each of the parties or electoral coalitions tended to nominate a slate of ten candidates and encourage its supporters to vote for all of them. In most cases, the winning party or coalition would have all ten of its nominees elected, with the other seven elected members coming from the second-place party. The Parliament sits in a building overlooking Main Street and John Mackintosh Square. It was constructed in 1817 and previously served as the Exchange and Commercial Library. In 1951, the building was refurbished to host the Legislative Council. Under the 1969 Constitution, the House of Assembly was established, superseding the Legislative Council. The first session of the House of Assembly was opened on 28 August 1969 by the then Governor, Admiral of the Fleet Sir Varyl Begg. Hassan Nahon, Marlene Dinah Esther TG Daughter of former Chief Minister of Gibraltar (1964–1969; 1972–1987), Sir Joshua Hassan. Became MP as GSD whip. resigned whip in 2016 to become Independent before November 2018, when she turned her own party, TG, from movement to party. *Albert Isola was elected at a by-election on 4 July 2013 after a seat had become vacant following the death of Charles Bruzon in April 2013. ^ "Composition of Parliament". Government of Gibraltar. Archived from the original on 1 July 2013. Retrieved 2 July 2013. ^ "Marlene Hassan Nahon Resigns from GSD". gbc.gi. Archived from the original on 22 May 2016. ^ "GSD reacts to Marlene's resignation". gbc.gi. Archived from the original on 4 June 2016. ^ "Now, GSD leader resigns". gibraltarpanorama.gi. ^ Benady, Tito (1996). The Streets of Gibraltar. Gibraltar Books. pp. 17–18. ISBN 0-948466-37-5. ^ "The Gibraltar Parliament - Home". www.parliament.gi. Archived from the original on 22 December 2012. Wikimedia Commons has media related to Gibraltar Parliament. 1 European Union law applies in the United Kingdom and Gibraltar. Following the invokation of Article 50, the United Kingdom is set to leave the European Union. A Great Repeal Bill has been proposed to incorporate all current European laws into British law. 2 "Bailiwick-wide" legislation passed in the States of Guernsey applies not only in Guernsey, but also in Alderney and Sark, with the consent of their governments. This page was last edited on 18 March 2019, at 09:01 (UTC).